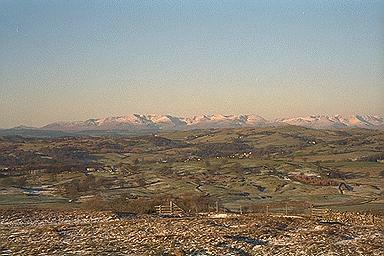 Caw appears on the left and Crinkle Crags on the right, with the Coniston fells between. A wider and more detailed view from Scout Scar is available. Larger version of this picture.